A couple of years back I wrote about how I more than doubled my Patreon in 30 days. But Patreon is a long game and if you want to retain patrons and grow your audience, you have to keep plugging away, working, and evolving. Below are some tips and suggestions that I hope will encourage you to take your Patreon to the next level. As with all advice, your mileage may vary. I speak with a lot of people who are considering setting up a Patreon and the number one question I get is some variant of “Is it easy?” and “Can you make money from Patreon?” The short answers are “no it isn’t” and “yes you can.” See, the biggest misconception surrounding Patreon is that it’s a great source of passive income. A place where you can set up a page, declare “I’m an artist putting out free stuff, please pay me,” and people will flock to your page, the money will flow, and you’ll be able to jet off to Hawaii and live the dream. But alas, that’s not the reality. And while Patreon began as something more akin to a ‘virtual tip jar,’ it has grown into a full-on membership site. The first step to taking your Patreon to the next level begins with your mindset. Acknowledge that yes, you can make money, but it’s not going to be instantaneous. This is a marathon not a sprint. This is a marathon not a sprint … Keep repeating the mantra until you believe it. While Patreon began as something more akin to a ‘virtual tip jar,’ it has grown into a full-on membership site. I recommend having three to five distinct Patreon tiers. You don’t want to have too many options, lest your potential patrons suffer from decision paralysis and wind up not supporting you at all. Ensure, too, that there’s a natural progression and added benefit to each of the levels. 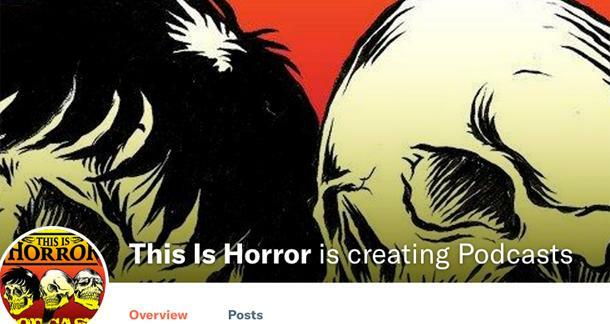 At This Is Horror, the $1, $3, $4, and $10 perks are the main reward tiers. At $1, patrons get early bird access to episodes, can ask guests questions, and get Patrons-Only Q&A Sessions. At $4, patrons can listen to full This Is Horror podcast conversations rather than splitting the episode into two or three parts. At $10, patrons get On Camera/Off Record, an exclusive videocast. We do offer a few other options, but those are the four we plug most, and if I were to start a Patreon today I’d limit it to those four tiers and an ultra-premium tier like the philanthropist (head over to This Is Horror Podcast’s Patreon and see what I’m talking about) because it’s good to dream, right? I’d also price the $4 tier at $5 to create further separation between the two tiers. If you want people to sign up and become your patron, you need to give them a reason to do so right now. There are a number of ways you can go about this. I’ve frequently created ‘mini-challenges’ and bonuses. Things like, “if we hit X patrons by Y, I’ll release an extra podcast episode by the end of the week.” The bonus needn’t be anything extra. It may simply be you’ll release content early. I’ve also run prize draws, giveaways, and even recorded bonus videocasts when we’ve hit a certain number of patrons in a defined time period. An easy way to create urgency is to set Patreon goals. Right now, we’re shooting towards 150 patrons. When he hit 150 patrons we’re going to support another creator on Patreon (it’s important to give back to the community) and we’re going to collaborate with another podcast (again, it’s important to give back. We’ve already collaborated with or interviewed people from Ladies of the Fright, Castle Rock Radio, Unnerving Magazine, The Lovecraft eZine, Pseudopod, and Booked. Podcast, amongst others). Sometimes the excitement is in simply hitting the goal. I’m also a believer in setting ambitious goals. Goals that you believe could happen but are a long shot. Goals where if you ‘fail’ but come close you’ve likely done better than if you hadn’t set them in the first place. Last year, I aimed to hit 200 patrons by the end of the year. We didn’t get there, but after an incredible drive via social media and the podcast, managed to increase our patrons by 11 in the first 11 days of December as we raced towards the end of the year. Which brings me to a brand new Patreon feature, ‘Special Offers’. This enables you to create urgency and a time-sensitive offer straight from the Patreon Dashboard. Think of it as Patreon’s equivalent to the Kindle Countdown Deal. As part of our drive for February, Bob Pastorella and I created an eBook for our Patrons, Top Ten Writing Tips, where we took ten often touted writing tips and offered our take on each. Not only do Special Offers enable you to offer an extra incentive to patrons, but you can decide just how long you want the offer to run. I’d recommend 2 to 4 weeks as the sweet spot for generating buzz and creating urgency. As to ‘what’ the special offer is, it can be anything from an eBook to a personalised card to a huge discount to a special video. Thinking of creating a Special Offer? Throw some ideas in the comments and I’ll let you know what I think. There are a number of Patreon pages that offer a few updates per month, sometimes less than that. And guess what? These Patreon pages often have little support and almost always less support than they could have. I try to give patrons a reason to support the This Is Horror podcast every single day. If I shoot for that, chances are I’m going to post at least 3–4 times per week, perhaps more. If you post regular content to your Patreon you not only give your existing patrons value for money, but you ensure you have something to shout about to attract potential patrons. While potential patrons can’t see patron ‘locked’ content they can certainly see how often you post. 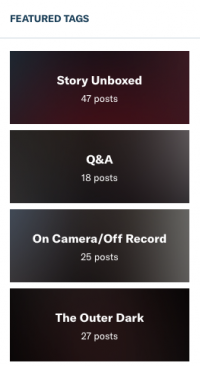 To give you an idea as to what this looks like, here are all the Patreon posts we’ve made in the last week. This weekend we’re recording an On Camera/Off Record videocast for our $10 patrons and are releasing our episode with Adam Howe. You don’t have to produce content quite as frequently, but it is important to release a number of different pieces as often as possible and to serve each of your reward tiers. Engagement and discussion should be a continuous process. With This Is Horror I’m striving to build a community. This is more than just a creator putting out content for patrons, this is a relationship. Engagement takes various guises. The Patrons-Only Q&A allows patrons to ask me and Bob Pastorella anything and we’ll answer questions in Patreon exclusive episodes. Then there’s Story Unboxed in which we analyse and critique short stories and films. We ask patrons which texts and movies they’d like us to critique and then put up a poll for patrons to vote on the story (soon we’ll be analysing "Lost in the Dark" by John Langan as voted for by patrons). I tend to find that closed questions work better than open-ended questions (comes back to decision paralysis) but sometimes you just want to ask, “What can we do better?” or “How can we deliver more value to patrons?” As a result of patron feedback, we’re developing a writers’ workshop and community forum. If you offer services such as editing, marketing, writing consultations, artwork, eBook formatting, or something else related to your Patreon and niche, why not consider offering some of these services exclusively to patrons? Or how about a patrons-only discount? Right now, I’m offering editorial services and writing consultations exclusively to patrons. It’s a great way to deliver even more value, and if you’re in a position where you can only take on a few new clients it shows you’re putting your patrons first. Don’t be afraid to experiment. To try different things. To fail. To adjust. To try again. And don’t fear failure either. If you’re growing it’s part of the process. Doing the same things over-and-over is a great way to stay where you are and not gain any traction. I’ve lost count of the things I’ve done that haven’t worked. And that’s the point. It didn’t work and it doesn’t matter. So keep experimenting. Keep getting better. Over to you. What has helped you attract more patrons? What hasn’t worked? What’s your number one Patreon struggle right now? See you in the comments. Your Publisher Has Folded...Now What?